As market leaders in high-end home automation solutions, iHomes London had already achieved Platinum Dealer status for Control 4 home automation systems but needed to let potential customers know what they could offer. Having already seen great results from their SEO campaign, they turned to us to improve their social media presence. It was clear from the outset that iHomes would benefit from having a fully managed social media services to showcase the luxury nature of their business. As well as the usual social networks, we targeted houzz — a network based around design, renovation and building. 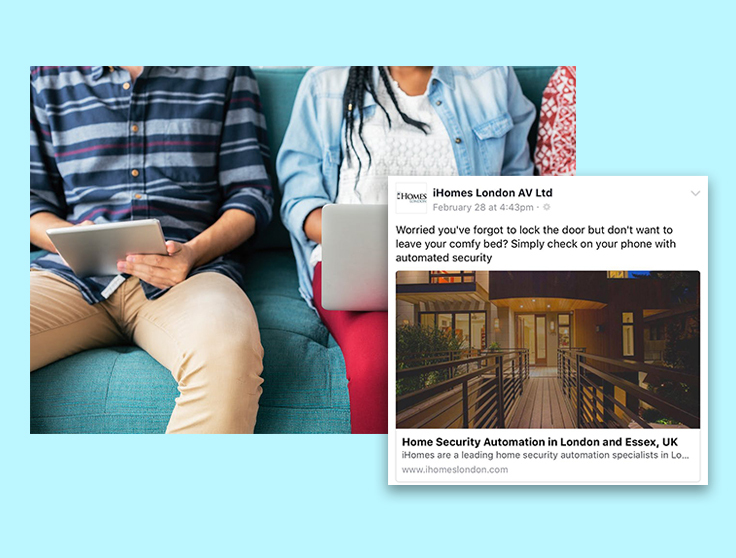 Our in-house social media experts got to work on creating a professional social media campaign that would show the full range of home automation services that iHomes offered. 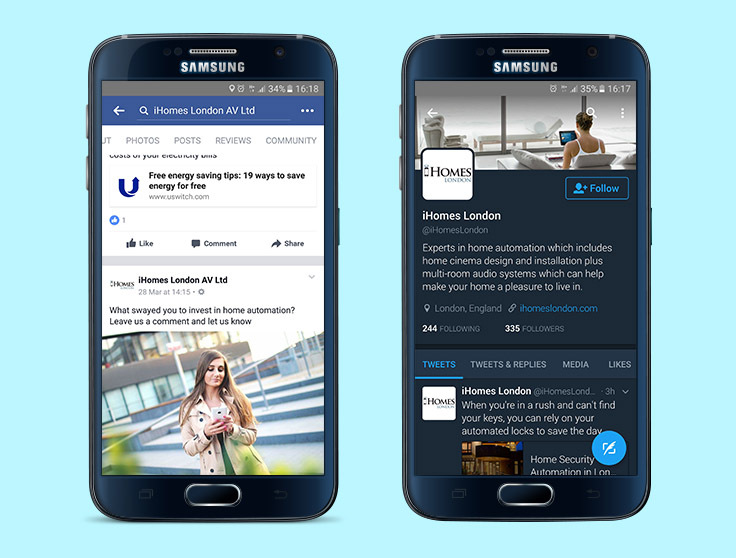 After in-depth audience research and competitor analysis, our social team produced engaging posts that were tailored to iHomes’ exclusive market. Meanwhile, our copywriters wrote a series of newsworthy blog articles for the company’s website. We opted for this two-pronged approach as it enabled us to add relevant content to the website, whilst providing link-worthy content that could be shared across the social media channels.